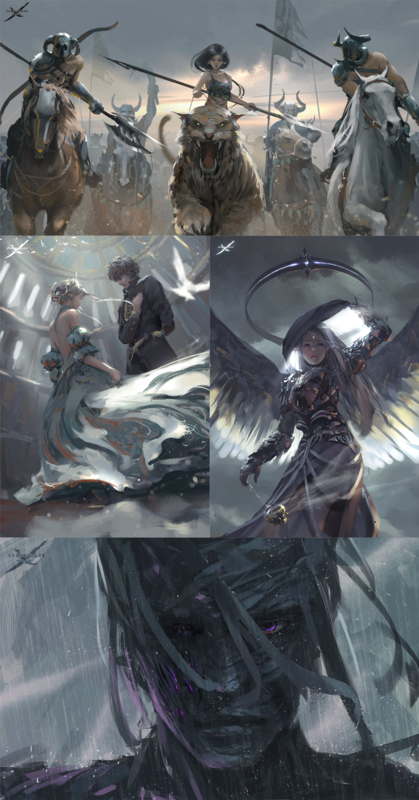 One of my absolute favorite artist at the moment is for sure the hobbyist digital artist Wang Ling also known as WLOP. Both his art style and choice of theme is just so appealing to me. Sort of sketchy and rough yet clear and smooth. How I wish I had his talent, one day you guys, just you watch me! Also I love how he works with light and perspective. AMAZING.